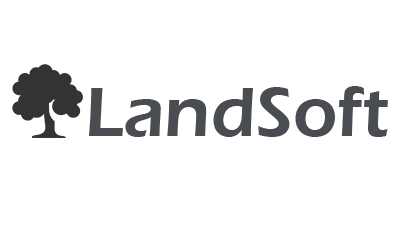 LandSoft is a new system custom designed, developed and deployed for the Native Land Trust Board. The NLTB is the biggest land administrator of all customary land in Fiji, being trustee to 90% of the total land area in Fiji. It was designed specifically to cater for the proper management of Land & Resources and accurate accounting of transactions from Tenants and clear and transparent distribution of royalties to the Landowners. Hanua in Motu (PNG), Vanua in Fijian, and Fanua in Samoan means The Land and its People. Native & Customary Land Administrators (PNG, Fiji, Samoa and other Pacific Island Countries) Native and Customary land in PNG, Fiji, Samoa and other South Pacific Islands are kept under Trust by a Government department like Land Trust Administration. These land are leased under various categories, and these are namely; Agricultural, Residential, Tourism, Commercial, Manufacturing, Public Infrastructure, Communication, Minerals, Water, Fishing, Gravel and Timber. When Tenants, Logging, or Mining Companies make payments on a lease the Land Trust Administration distributes the money received to the respective Land Owning Units (Landowners). The LandSoft is an on-line system where financial transactions such as Receipts, Payments, Journals, and File Maintenance are entered at point of source, remote or local. This point of source entry means that the Receipts, Payments, and Journals are entered, edited, and confirmed for posting from your remote branches. The LandSoft is a fully on-line and real-time system of accounting the financial and static data and information of all Landowners (Trust Creditors), Tenants (Lease Debtors). It is fully and seamlessly integrated to any Accounting system. These Decision Engines is what make the LandSoft a “smart” system. The LandSoft Lease Debtors subsidiary ledger caters for all different types of Leases by Tenants such as: Agricultural, Residential, Tourism, Commercial, Timber, Minerals, Water, Fishing, Public Infrastructure, Communication, and Manufacturing. The LandSoft Trust Creditors subsidiary ledger caters for the Landowners account. It keeps track of the different revenue streams for the Landowners Account and these are: Lease Rentals, Premiums, Stumpage, Royalties and Compensation. The LandSoft records all details about the Customers who are the Landowners and Tenants, the Land & Resources, and the Agreement between the Tenants and Landowners for the use of the Land or the Resources endowed in the land. In summary the LandSoft will make the Land Administration Authority like the Native Land Trust Board become a one stop-shop for its clients who are the Tenants and Landowners. For the users, the LandSoft is easy to learn and to use if they are already familiar with other Microsoft products. Executives can be provided with monthly Key Performance Indicators (KPI) that enables them to put a finger on the pulse of your Land Trust Administration function and portfolio. It enhances the ability for Land Trust Administration Executives and Board directors to make informed decisions and formulate policies. The KPIs are generated from the LandSoft’s data warehouse that sits on top of the production system (LandSoft). LandSoft enables the Land Trust Administration organisations to keep track of all financial transactions of every lease, licences (Tenants, Logging, Mining Company) and land owning units (Landowners). LandSoft is well suited for Land Trust Administration Authorities, Mining Companies, State Owned Entities that administers Land and Resources for Landowners.